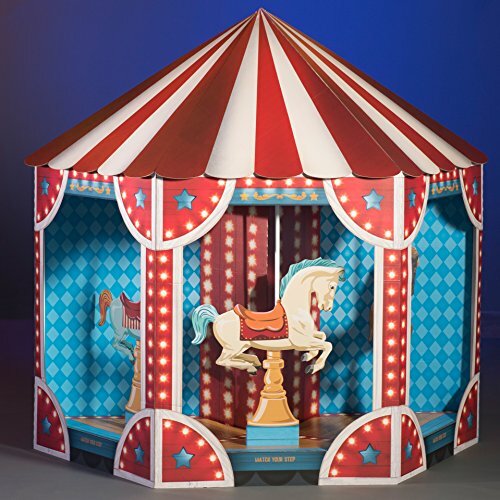 Circus Scene Setters Deals - Buy Online. Halloween Store. Incredible selection of Halloween Costumes, Halloween Decorations and more! This listing is for a Halloween Creepy Carnival Circus Party Striped Tent Scene Setter Room Roll. 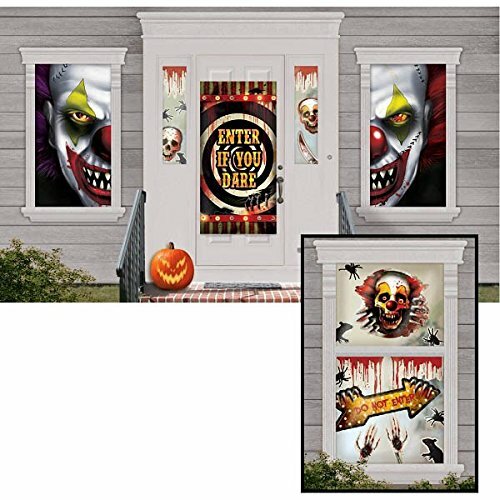 ;Each of these fantastic scene setters is approximately 4ft x 40ft in size and features a gruesome illustration of a blood splattered red and white striped circus tent. ;This sinister scene setter can be used individually or combined with all our other scene setters to create a sinister Halloween scene. 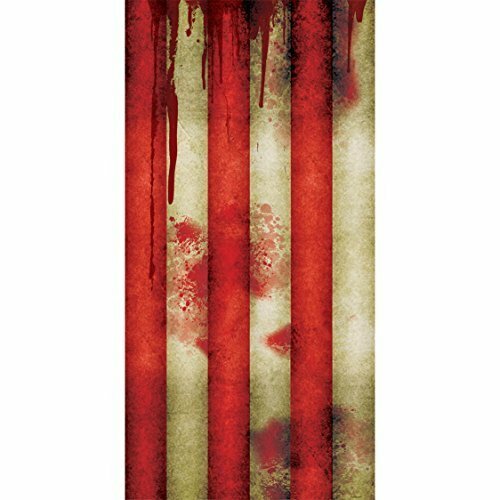 ;Perfect for Halloween and fantastic for any creepy carnival themed celebration this terrifying room roll will look great wherever you use it. ;This incredible scene setter is made from plastic and is suitable for use indoors and outdoors. 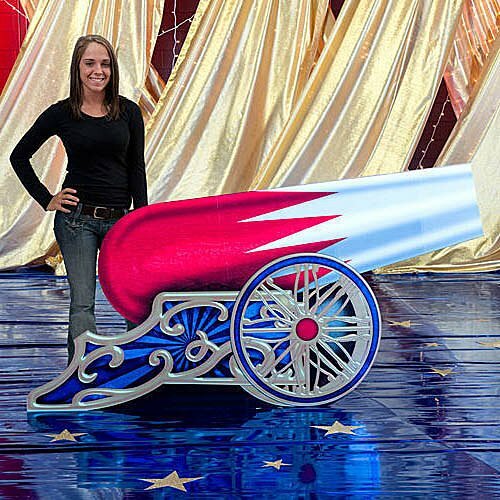 The Circus Cannon Standee has the look of a red and silver cannon on a blue and gold mount. Each Cannon Standee is 3' 10" high x 7' 4" wide and is printed on one side of cardboard. The Circus Cannon Standee will make a bag at your circus or carnival themed party. Easy assembly. Beistle 52025 Skyline Backdrop. This backdrop is made of a thin plastic material and is 4 feet tall by 30 feet wide. It can be hung up on a wall to give the look of a skyline. 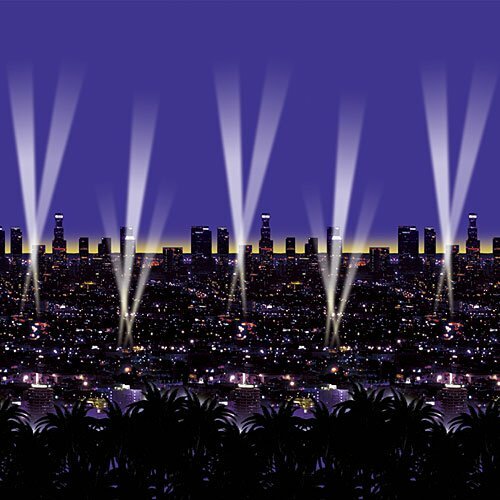 This backdrop can be used with the starry night backdrop to give a complete look. 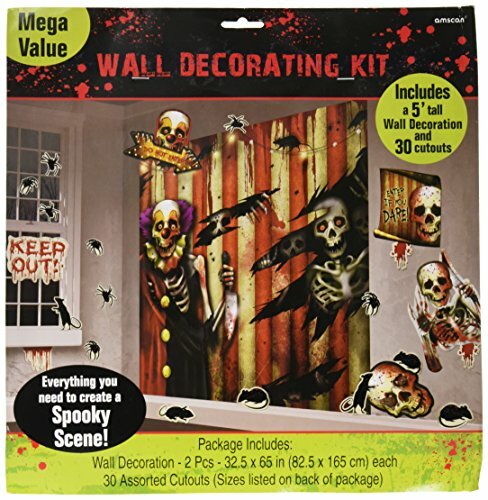 Carnivals aren't always fun, give your guest a tour to your house turned creepy carnival with our 65" x 32 1/2" creepy carnival scene Setter Mega value wall decorating ki. Perfect for creepy carnival / side show theme for parties or trick or treat events. Have guests walk through the Circus Clown Entrance as they arrive to the Big Top adventure party. Each Clown Mouth Entrance is printed on one side of cardboard measuring 9' 4" high x 9' 5" wide. Easy assembly. 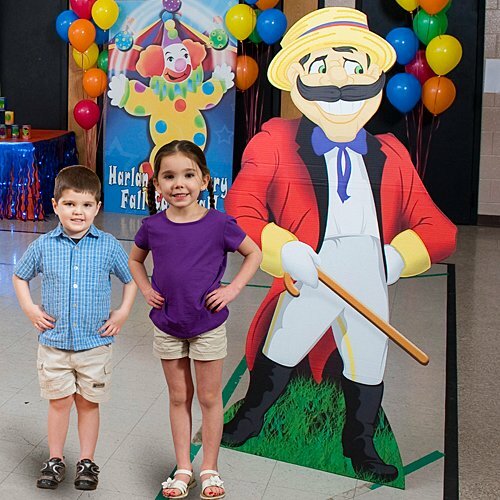 The Carnival Ringmaster Standee is free standing and made of sturdy cardboard. The Carnival Barker Standee measures 5 feet high x 3 feet wide.